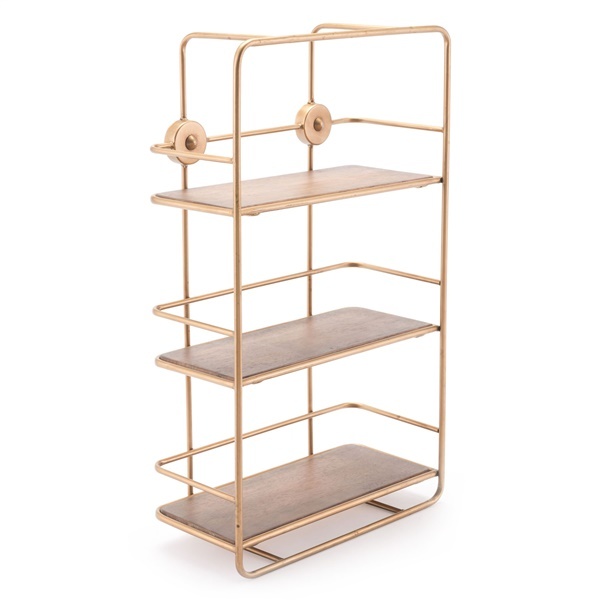 A gorgeous wrap around gold frame provides exceptional strength and style to the Stairs Shelf by Zuo. Use it to display your art, books, magazines and sculptures in any entry, bathroom or office. Its antique gold frame demands its presence be known, without losing any function.